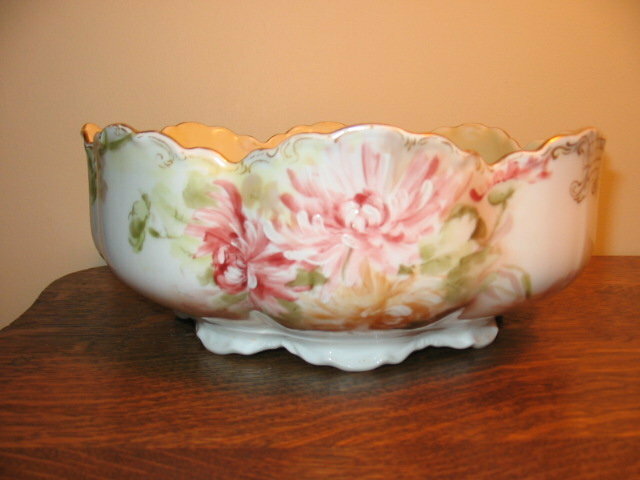 HERE IS AN EARLY HAND PAINTED HAVILAND (H & CO)LIMOGES CENTER BOWL WHICH FEATURES CRANBERRY SHADED MUMS ON BOTH SIDES AND ELABORATELY PAINTED GILDING ON THE ALTERNATE SIDES. MARVELOUS DETAIL ON THE GILDING WHICH IS ALL INTACT. MEASURES 8.75" IN DIAM. AND 3.5" HIGH. NO CHIPS, CRACKS, HAIRLINES OR REPAIRS. 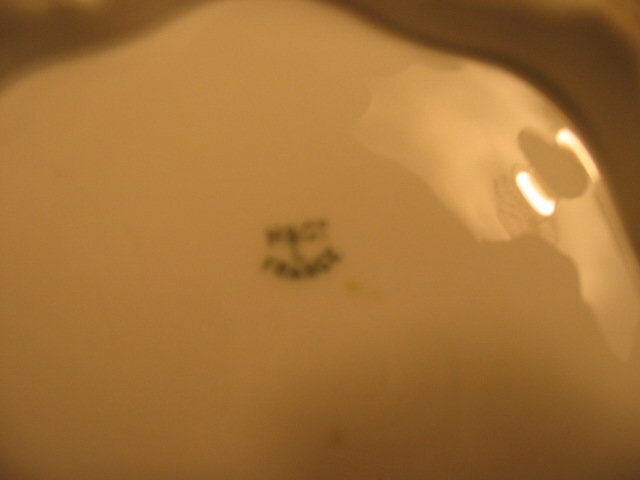 HAVILAND LIMOGES MARK 11 IN GREEN UNDERGLAZE (1888-1896). 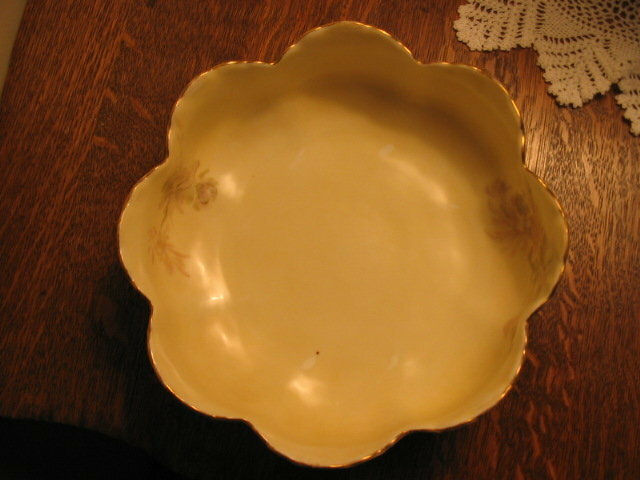 Items Similar To "EARLY HAVILAND LIMOGES H.P. 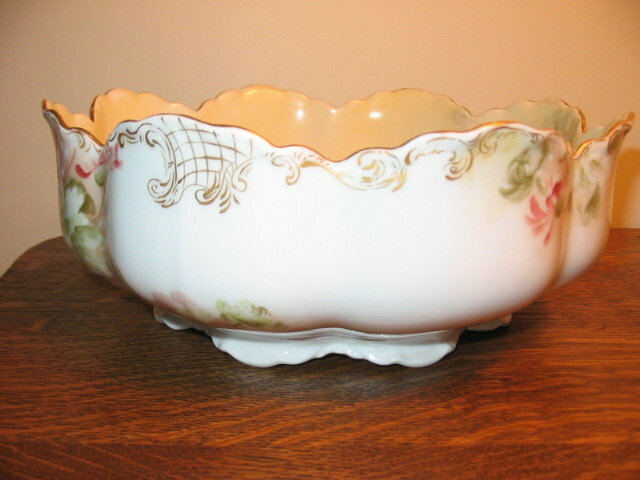 BOWL"